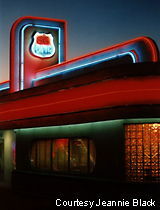 Check out this huge marquee lighting up Route 66 in Gallup for Virgie's Mexican Food. 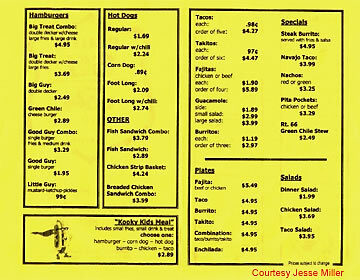 Hungry for a bite or two at a burger joint in Albuquerque? 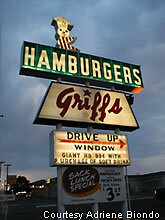 Well, Griff's Hamburgers is a stop, especially if you're in the mood for a "Sack Lunch Special." 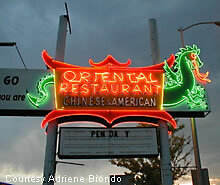 Here's some great neon for the Oriental Restaurant, in the "War Zone" area. Check out the detail on the neon dragon, especially the flames emitting from the dragon's mouth. 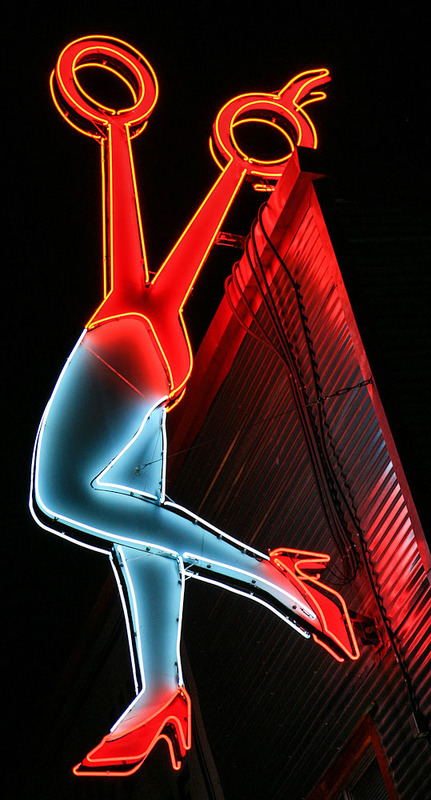 The Pantry Restaurant is another neon treasure found in Santa Fe. The Route 66 Diner in Albuquerque, NM is still feeding hungry bellies, even after a potentially devastating fire a few years ago. Now completely restored, the diner bustles again. More information can be found at the 66 Diner. 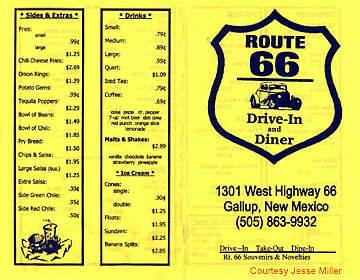 Interested in seeing the menu from this diner? Then click here and here. Many thanks to Jesse Miller for menu images. 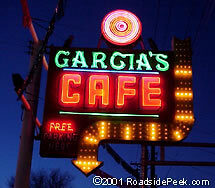 Here's a neon shot of Garcia's Cafe on Route 66 in Albuquerque. Yes, the Route 66 Diner is just up the street, but this marquee just couldn't wait for the new Route 66 section.